The Soccer Insiders: Where the hell did I end up? I know we all like to joke about this happening to us, but what would you do if it actually did happen? BAKU. For his entire career Sebastian Castro-Tello, 26, has dreamed of La Liga. "I do not know exactly how it happened. 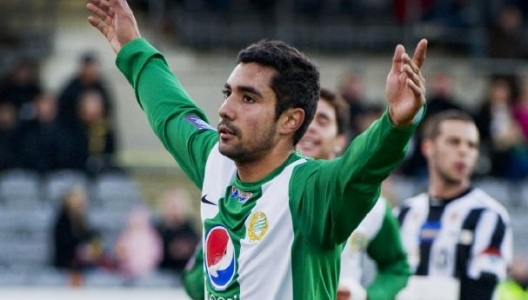 The only thing I knew about Azerbaijan was that they had Eurovision," says former Hammarby player. "The cell phone rang one day late." Sebastian Castro-Tello said from his hotel in Baku, where he arrived after a terrible spring season at Hammarby. The man on the other end was from Las Palmas in the Spanish second league. They examined the number ten and Castro-Tello was somehow interesting. Perhaps these involved a sample game, perhaps a loan, maybe a transition. Was he interested? Sebastian did not know the details. He had for years hoped to come to Spain, this chance fell down in his lap, he was flattered, but answered honestly. "No, not anymore.Yesterday I signed a 1 year contract with a club called Ravan.Where? In Azerbaijan." Two weeks later, the offensive midfielder was taking in a mouthful chai down the Caspian Sea coast, . The air is 75-degree fahrenheit and it's eleven at night. Sebastian has learned from the locals how to bellows in the tea, he says. 'There is more that is different here. People are more stressed. Almost nothing is as in Sweden." Billions have been restored to the capital of Baku in the past four years. President Ilham Aliyev, who succeeded his father Heydar Aliyev, has filled the center with glass complex and fountains. The facades of three skyscrapers projected animations of flames and flag-waving men. On a pier stretching into the water stands the spectacular stadium that was built for the Eurovision Song Contest finals in 2012, close to the world's second tallest flagpole (a three-meter taller one was built in the other year in Dushanbe, Tajikistan). The city is full of empty luxury shops. The Baku city center is full of European luxury boutiques as the president's fashion-conscious daughter Leyla likes to be taken there. While we are here, we see not a single customer visit. And boardwalk Bulvar. It consists of three broad walkways where Baku residents stroll into the wee hours, when the park attendant are still tending and watering. Hardly anyone buys food or drink, they just go, seemingly amazed at how the city continues to be reshaped. The Caspian Sea is full of oil. Azerbaijan breathes extravagance and luxury. But resources are unevenly distributed, as evidenced by the country is only 86 on a list of the world's richest and has little tourism (which may be due to the lack of a decent beach for miles radius). It's all that Baku offers Sebastian Castro-Tello since Aug. 1st. Here, where the striker Freddy Borg plays and the Swedish 21-year old Vugar Huseinzade got a job as sports director of FK Baku after bragging about all his credentials as a manager from the computer game Football Manager. "I honestly do not know how it happened," says Sebastian and takes a sip of chai to. "My agent said the team was looking for a tenner and told me to go to their training camp in Slovenia. 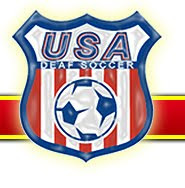 I did not play in Hammarby, Gregg Berhalter (yes USMNT fans, that Gregg Berhalter) said I was a third option, so I flew down." Castro-Tello was ordinary in Hammarby in 2009 and 2010 and then signed a five year contract. Since then, the playing time decreased, and in 2013 the offensive midfielder started just one match in Superettan before the Azeri option opened. In July, he met 26-year-old up their camp, greeted their leaders and got a taste of their new fotbollsliv. "I ended up in a large room with seven other players. A Slovak, a Georgian, a little Czech and others. We would fight over who got to be there. I thought: where the hell did I end up?" It sounds like Robinson. "Well, kind of. I worked professionally for eight days and people always disappeared each day who were there in the room. Finally, I and a player from Slovakia (Slope Ivan Pecha) were offered contracts." What did you know about Azerbaijan before you came down? "I had heard that they had Eurovision here. Then I found out that there is a city called Baku and googled and looked forward to talking Russian and old Turkish here. It sounded awesome. How did you think your life would be like? "Exciting. I have been in Hammarby my entire life. I left my pregnant girlfriend in Sweden." The transition was complicated by Sebastian's girlfreind, Mikaela, being far along in pregnancy. She is still in Sweden and is expected to give birth within a week. Therefore Sebastian wrote into the contract that the club will arrange flights home as soon as the baby arrived. "I thanked them the first time with a no." I said "thanks for the coffee, but it's not worth to go here when I have children." But my family convinced me to take the chance though it was bad timing. Is it an economic boost to come from Hammarby to Azeri league? "There is not much difference except they have better bonuses here. If you win the matches you can live on monthly salary bonuses and let lie still." But the bonus account is empty so far. Sebastian Castro-Tello is ordinarily a number ten in Ravan, but the team's first three games of the season have ended 0-2, 0-2, 0-5. "Everything goes fast here." After the first two initial losses they fired the coach. "It goes fast here. Not only having to fix flats and all papers." "It is much quicker. It is a technical football, not that it makes two or three old men, without touch. Players resting when you have the ball, rolling around and acting like you had a seizure. Then it flashes to the last third." The next afternoon I didn't feel much of that speed. Bayilstadion accommodates 5,000 spectators, but the last game was the 500th Ravans second pass of the day and has såsigt paced and a weak structure. In addition to a young woman in sunglasses with exclusive handbag - we guess that she is the wife or girlfriend of one of the players - we are the only spectators at practice.Maybe it was not so strange that it was difficult to find.With the help of the taxi driver we asked at least ten people where the stadium was, but even when we were fifty yards from it they had no idea. But yes, the game is going on Bayilstadion after all. The new Swedish acquisition is the clear focal point. Teammates shouting "Castro Castro" during games and exercises "Castro Castro" concludes every other attack on their team. After the workout, we want to take pictures of Sebastian, but out of nowhere, a guard in uniform strolls up. He does not look to be older than 18 and behaves nervously, but his intent was clear. We shall in no case enter the empty artificial turf pitch. Sebastian comes up in the stands instead and we take some quick pictures in one of the corners. Then Sebastian runs to catch the bus - all the players are bussed to and from training every day - where the rest of Ravan squad awaits him. "The league can be really good." Sebastian knows neither he nor the Azerbaijani league is going, but in the evening down on the boardwalk, he expressed himself hopefully. "I think that football is the way forward. It may be fine. Check Nefttji is playing very European Games. We met them the other day and it went away. It was class football." Do you think that more Swedes come here? "I think so. The league can be really good. It is not the Premier League, but the style is quite good." Will you be closer to your dream of La Liga after this than when you were in Hammarby? "Yes. Once you have gone abroad, it may continue. Now the adventure begins, from here, then on and on. Or it will be the pancake of everything. I might go home and start working on Ica." Another thing: how do you communicate with teammates who speaks Russian and Azeri? 'Two languages: Spanish, so we talk a lot. Otherwise, I get to talk with your hands, yes ... or with their feet."